Weeks after their first protest on 19 August that led to two deaths, opposition parties in Togo continue to maintain pressure on the government. As a result of this and last month’s demonstrations by thousands of people in several cities and among the diaspora, the government adopted a draft of a consitutional reform bill on 5 September. The most significant reform focuses on limiting the term of office for parliamentarians and the country’s president, and a return to a two-round system for presidential elections. Debates on the implementation of constitutional and institutional reforms date back to the 2006 Global Political Agreement (APG). This agreement was signed after post-electoral violence following Faure Gnassingbé’s victory in the 2005 contested presidential election, with the support of the Economic Community of West African States (ECOWAS). It eased tensions particularly because it provided for the implementation of reforms in line with the 1992 constitution. 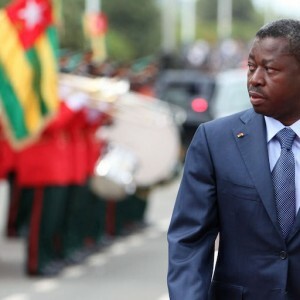 That constitution was amended in 2002 to allow then president Gnassingbé Eyadéma – father of the current president – whose term of office was drawing to an end, to run for election. After 38 years in power, he was replaced by his son as head of state. The revision abolished the limitation on the number of terms the president could serve, and introduced a single ballot for presidential elections. It also changed the method of appointment of the members of the Constitutional Court by conferring power on the country’s president to appoint the court’s president. Eleven years after the APG was signed, its recommendations still haven’t been implemented. The government, under pressure from political actors and civil society, says it is open to the reforms. However a lack of political will by the ruling party and disagreement between the government and opposition (and within the opposition itself) about implementation of the reforms are holding back the process. The result has been the recurrent political crisis in Togo since 2006. Two main obstacles remain. These are the retroactivity of the limitation on the president’s term, and the reforms mostly regarding the Constitutional Court. The 2002 constitution stipulates that ‘the President of the Republic shall be elected through direct universal suffrage for a term of five years. He is re-eligible’. While in 2015 some opposition parties were ready to compromise and accept a final candidacy for the current president, many are no longer willing to do this. For them, a term limit is no longer sufficient – it must have a retroactive effect taking into account the past three mandates of the president in order to remove him from the presidential race in 2020. Within the ruling party – the Union for the Republic (UNIR) – the term limit is also subject to debate. Even if the principle seems to be accepted, its retroactivity is not. Institutional reforms regarding the Constitutional Court have also been a major point of disagreement. The opposition continue to denounce the lack of neutrality of the court based on its composition and the method for selecting judges. The participation of the court’s president – who is appointed by the president of the country – in the ruling party’s rally on 29 August reinforced opposition parties’ criticism of the court’s partiality. For the opposition, a return to the 1992 constitution would guarantee the court’s independence, especially regarding the electoral process. That constitution extended the power to appoint judges from the court to the judiciary, the bar and the universities, and also provided that the president of the court would be elected by his peers. The memory of ruling party members of Parliament rejecting a draft bill on constitutional and institutional reforms tabled by government in 2014 is still a bitter one for the opposition. Some of the reforms currently being discussed were proposed in that draft bill. The rejection highlights the fact that no reform can be passed without the political will of the ruling party, which has a comfortable majority in Parliament with 62 out of the 91 seats. After 50 years of the Gnassingbé family’s rule, Togo remains the only country in West Africa that hasn’t had a democratic change of government. In 2015, Faure Gnassingbé and former Gambian president Yahya Jammeh blocked ECOWAS’s proposal to limit the term of office for presidents in the region. Jammeh left power in January, and so the Togolese president – who has been in power for 12 years – is now a lone ranger. As the current president of ECOWAS, Faure Gnassingbé has a dual responsibility. First national – to ensure the effective implementation of the long-awaited constitutional and institutional reforms in his country. Then regional – to follow the process of democratic consolidation and political stability in West Africa or risk inciting a wave of violence in a region prey to insecurity.